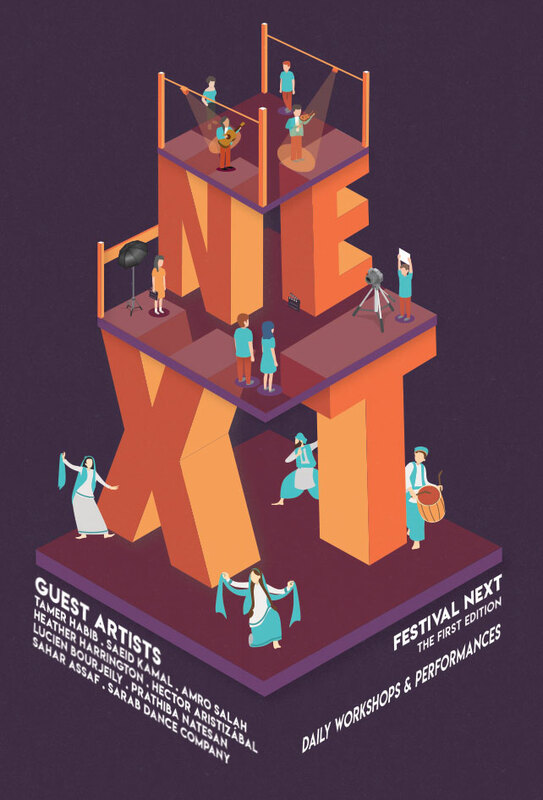 Building on the legacy of LAU’s renowned International University Theatre Festival, this new event aims to create an interdisciplinary space for innovative, avant-garde, and experimental performing and communication arts. The festival will encompass all strands of communication and connect Lebanese and Arab schools, universities, performing artists and communication professionals. Festival NEXT will offer opportunities to students and pre-professionals to work with established artists through workshops, lectures, productions, and performances. The first two days include a bootcamp for TV and film students. The stellar guest list includes storyteller Tamer Habib (scriptwriter of Sahar Ellayaly, Tareeqi and Grand Hotel), pianist Amr Salah (founder of Iftikasat Band), violinist Saeid Kamal (conductor and composer of many of today’s bestselling songs), stage director and social activist Lucien Bourjeili (founder of Beirut Acting), Indian dance expert Prathiba Natesan, contemporary dance expert Heather Harrington, actor Hector Aristizábal (founder and artistic co-director of ImaginAction, a non-profit theater arts organization based in Los Angeles), and theater actress and director Sahar Assaf, to name a few. Please see the program and visit the event’s Facebook page.